1/4" Aluminum Tunnel Plate and "Thermal-Abs of Aluminum"
At a full 1/4" thick 6061-T6 aluminum, this plate is twice as thick as your stock OEM Tunnel Plate; Coated on all sides with a specially engineered ceramic coated and then bonded to a composite-fiberglass thermal barrier. This is the best choice and BEST SELLER to offer both chassis stiffening and superior heat shielding to reduce the amount of heat transfer from the exhaust. Since its release, the redesigned Tunnel Reinforcement Plate has been one of the hottest suspension mods for the C5 and C6 Corvette. 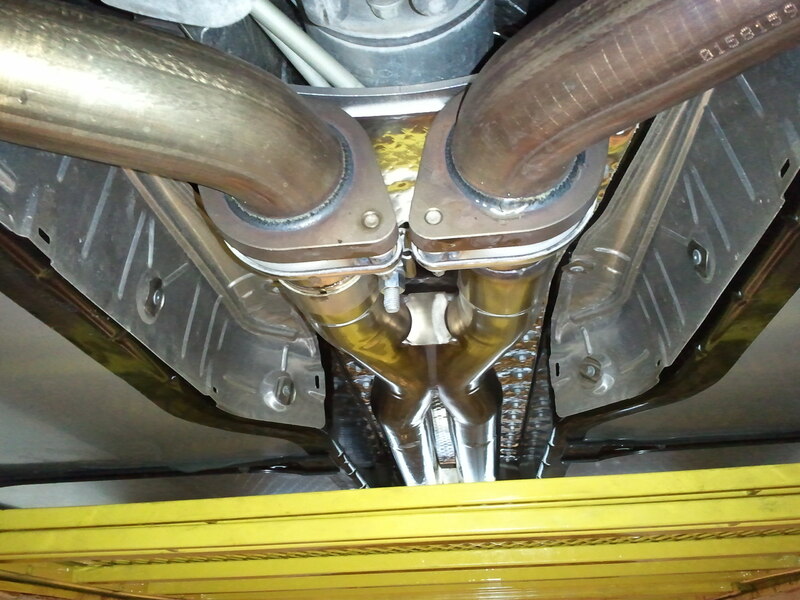 Installed on both the C5R and C6R Race Corvettes, it has been proven over and over again to reduce the amount of torsional flex in the chassis. 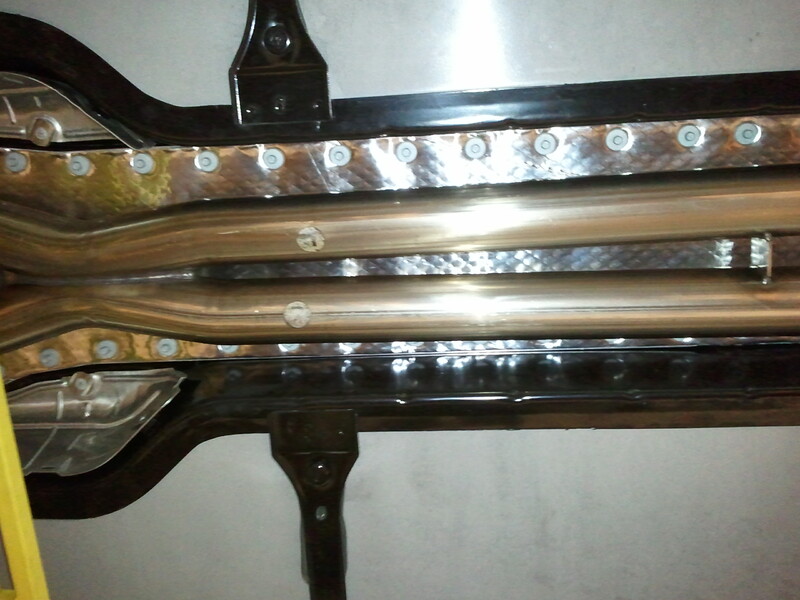 In addition, our ceramic coating adds another benefit by offering some heat shielding from your exhaust system. The engineers at General Motors acknowledged the benefits of a stiffer more rigid Tunnel Reinforcement Plate and improved their original design and incorporated something similar into the new C6. We have Taken their design one step further! 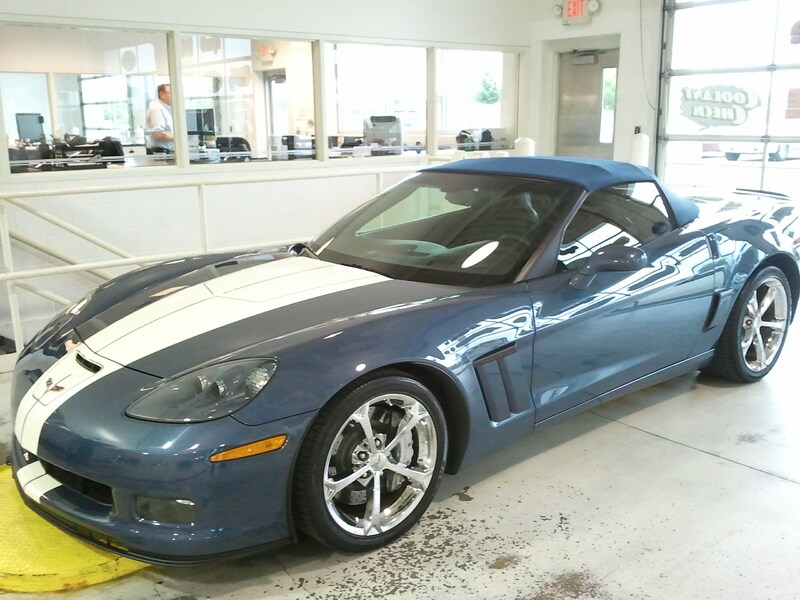 ♦ Featured in both Corvette Fever and SPEED, STYLE, & SOUND magazine. We have re-engineered the undercarriage tunnel plate on the C5 and C6 with strength and performance in mind. CAD designed and computer precision cut, our 1/4” thick (6061-T6 Aluminum) “Abs-of-Aluminum” Tunnel Reinforcement Plate is twice the thickness of the stock OEM plate. The benefits of this added thickness is a much more rigid and stiffer tunnel plate. Therefore reducing the amount of flex in the chassis and improving the overall functionality of the Corvette suspension. Does your console get HOT? Check out our "Thermal-Abs" In addition to ceramic coating our Tunnel Plates we have a "new" product that greatly reduces the amount of heat transfer into your console area from your exhaust. 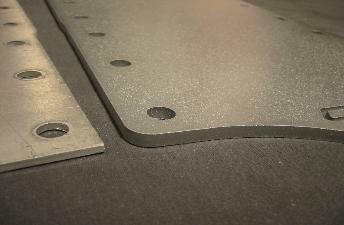 Now available with our "Thermal-Abs" Heat shielding. In addition to improved stiffening, another major advantage or our Tunnel Reinforcement plate is the heat shielding it offers. All our Tunnel Plates are coated on all sides with a specially engineered Ceramic Coating to reduce the amount of heat transfer from the exhaust into the interior console. 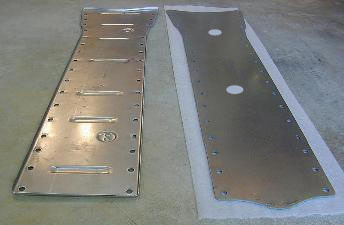 If you are changing or upgrading your exhaust, now is the time to install one of our Tunnel Reinforcement Plates. OEM tunnel reenforcement plate and bolts in place using the existing hardware. Installation is very simple and instructions are included. ● (2x) Access Holes for O2 Sensor Wires ● A must for Coupes and Convertibles! Strengthens the car and reduces the heat in the console tremendously. It used to be very hot and now after an hour drive it is moderately warm. Installed with a set of headers which normally would increase the heat. I bought the one with the Thermal-Abs. Excellent investment. This tunnel plate with thermal abs is absolutely necessary if you have a C6 Corvette. A huge reduction in heat in my interior console. My garage/gate remotes used to be hot to the touch when stored in the console cup holders, now they are cooler and actually function better. Thank you for this great product, if GM would have put in the research you have done they would probably have more satisfied customers. Great fit and finish, top notch! I was tired of always having to have my windows open when driving my Corvette in rain to reduce iterior temperature. 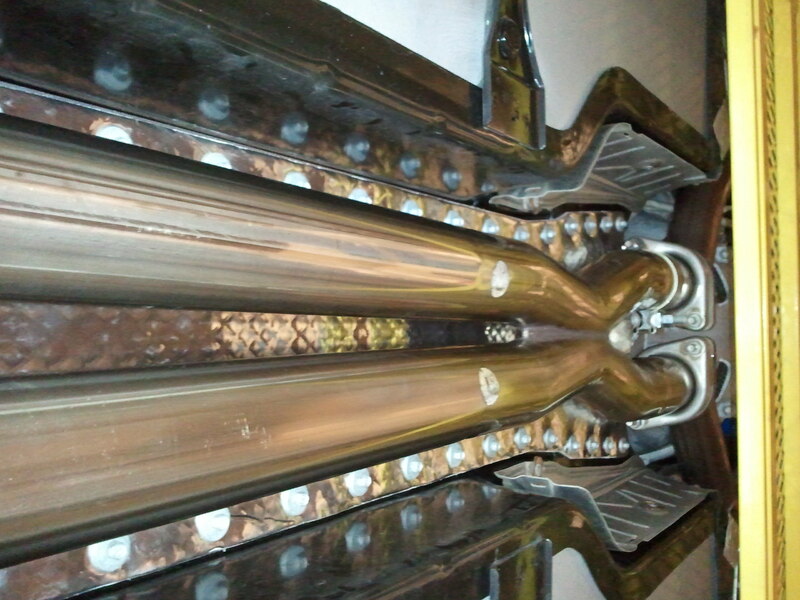 I did lots of internet searching on Heat Shields and came across Elite Engineering site. The site impressed me in that they had published data on temperature drop. I ordered the 1/4" Ceramic coated unit and could not be happier. The Chevy shop was also impressed with the quality and plans on telling other Corvette owners of our reduced temperature results. Great Product! !